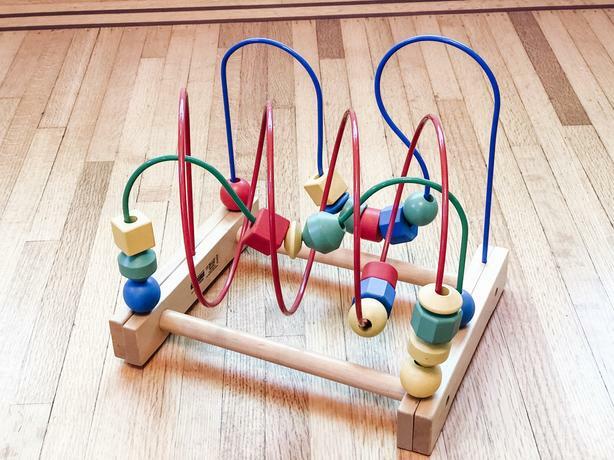 This colourful and fun bead roller coaster let's little hands discover what happens when you push and pull beads along a metal wire. Made of wood and metal. Purchased brand new for $20. From a smoke-free, pet free home. Check my other listings for lots of other toys and baby gear.